Aqua Pool’s Plumbing and Electrical Systems Ensure Superior Performance, Efficiency, and Safety! At Aqua Pool, we understand the importance of proper pool plumbing and pool electrical systems. 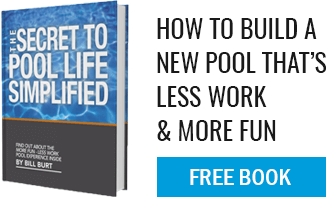 Having a properly designed and hydraulically balanced water circulation system, and an efficiently powered and grounded electrical system, are key to ensuring safe, problem-free pool ownership. Using only the best parts and licensed technicians, we carefully fabricate and test every inch of these systems throughout the installation process to ensure uncompromised performance and safety. All our pre-plumbing and finished plumbing utilizes durable all-weather pool piping, fittings, skimmers, inlets, drains, and returns that are positioned for optimum water circulation, maximum comfort, and cost-saving efficiency. Special features like our in-floor circulating Pool Filtration system and state-of-the-art filter style options help ensure that your pool not only looks spectacular, but performs spectacular too. The uncompromising safety and performance our plumbing systems deliver is matched by the reliable power our electrical systems provide. Every electrically powered function receives dedicated electrical wiring channeled through durable conduit piping connected with water-tight couplings to ensure your circulation pump, heater, outdoor lighting, in-pool lighting, and more operate as safely and dependably as possible.